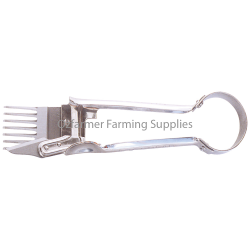 Stainless shears suitable for a range of uses including trimming sheep fleece, taking the tops off onions and cutting topiary bushes to shape. Without a doubt these are the best value for money we have. The shears are stainless steel with the ..
Whilst many sheep farmers use electric shears to shear their sheep, hand-shearing is common in areas..
Made in England – Burgon & Ball Shears are the finest shears and have been for generations All bl..
Made in England – Burgon & Ball Shears are the finest shears and have been for generations All blad.. 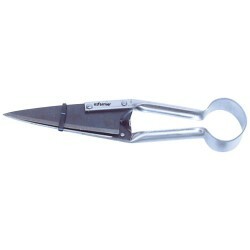 Famous in Europe, the Black Blue shears are of good quality, but very reasonable in price. 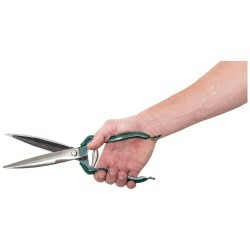 Made fro..
Due Boi shears are manufactured in Italy, and they are proud to put their brand on them. This is abo.. This Burgon & Ball tool is designed specifically to sharpen hand shears. (It will also sharpen gard.. These hand-operated shears are the ideal quick-and-easy device for trimming, dagging, fly-strike, et..
Thunderbird is proud to introduce the new 12 volt rechargeable sheep shearing device, powered from a..